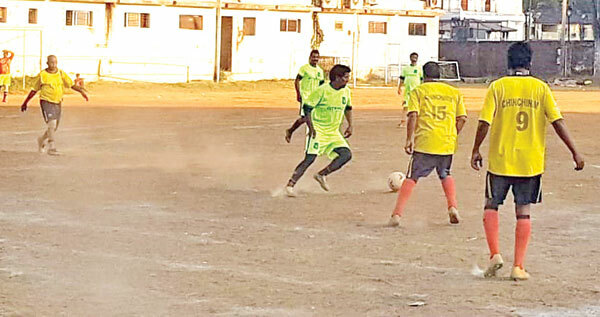 VARCA: Assolda Veterans blanked Chinchinim Veterans 2-0 to move into the semi-finals of the 1st All Goa Veterans Soccer organised by Texas Boy's Varca, at Varca football ground, Wednesday. Assolda veterans took the lead in the 32nd minute through Peter Peixoto. Minutes later, Arthur Mascarenhas doubled the lead for Assolda Veterans through a powerful shot which gave no chance for Chinchinim Veterans keeper. Carlton Furtado made it 2-0. Chinchinim Veterans mounted lot of pressure but all their efforts were in vain. Chinchinim Veterans’ Claudio Pacheco was adjudged the Man of the Match.